The Schools Football World Cup is a joint project by the Department of Education, the Department of Sport and Recreation, the 2010 Organising Committee (OC) and the SABC. It aims to educate and get some 12 million South African school pupils - both boys and girls - excited about the 2010 FIFA World Cup. The tournament will be rolled out in two phases. The first phase will be organised along the lines of the Confederations Cup and the second phase will be the actual World Cup. For each of the phases, the schools that participate will play the role of the participating countries. All schools will be encouraged to fly the national flag, sing the national anthem and engage in other activities like preparing the national food of the country they represent. The project also aims to get school children away from the streets and bad habits, and encourage them to lead healthy lifestyles. OC Chairman, Irvin Khoza, said the 12 million school children targeted by the project would help spread a positive message about the World Cup to families and communities. 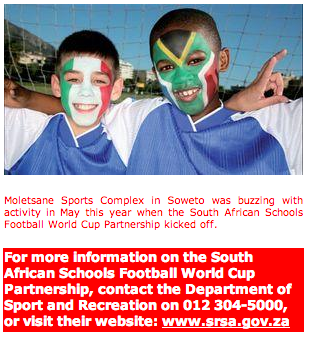 District competitions for the South African Schools Football World Cup will take place from 16 May to 16 August 2008. 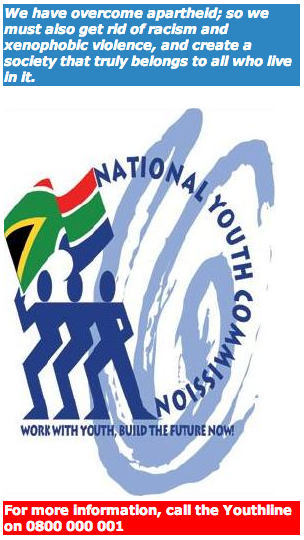 Provincial competitions will take place from 30 August to 14 September 2008 and finals from 20 to 23 March 2008. All young South Africans, irrespective of race, gender, ability, and nationality, must unite in the fight against attacks on people from other countries. As our leaders of tomorrow, the youth are champions of the rights, security and welfare of all Africans. They must be committed to rid the country and the continent of racism, xenophobia and all hatred towards foreigners no matter which country they come from. These were among the key messages during Youth Development Month, which was celebrated in June. 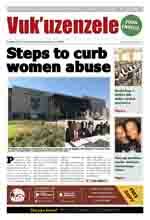 It is also the month in which we marked Youth Day on 16 June. Another key message to the youth during this time, was to empower themselves by developing their skills. Some government programmes to help them improve their lives, include the National Youth Service Programme, the Umsobomvu Youth Fund, the Expanded Public Works Programme, the Community Development Workers Initiative, and Learnerships.